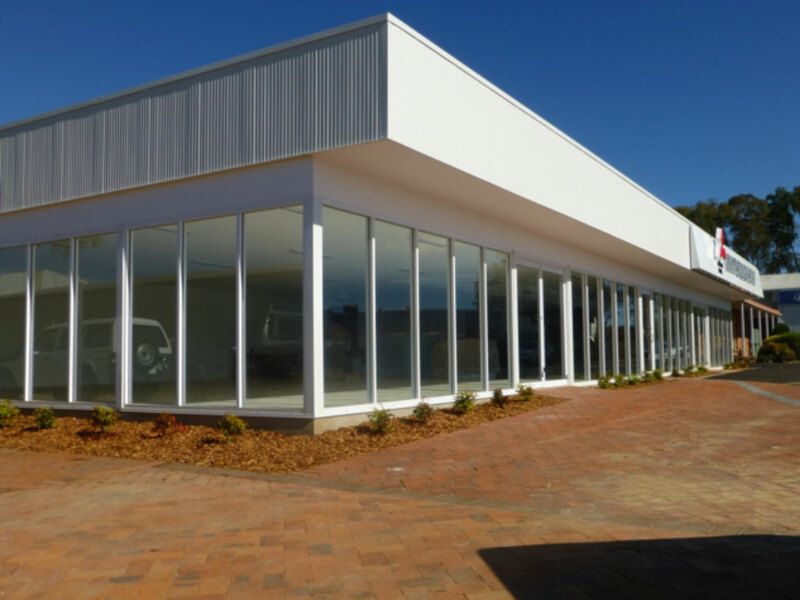 The Truss & Frame Factory undertook the construction of timber roof trusses on a new show room for a Motor Dealership in Mudgee. 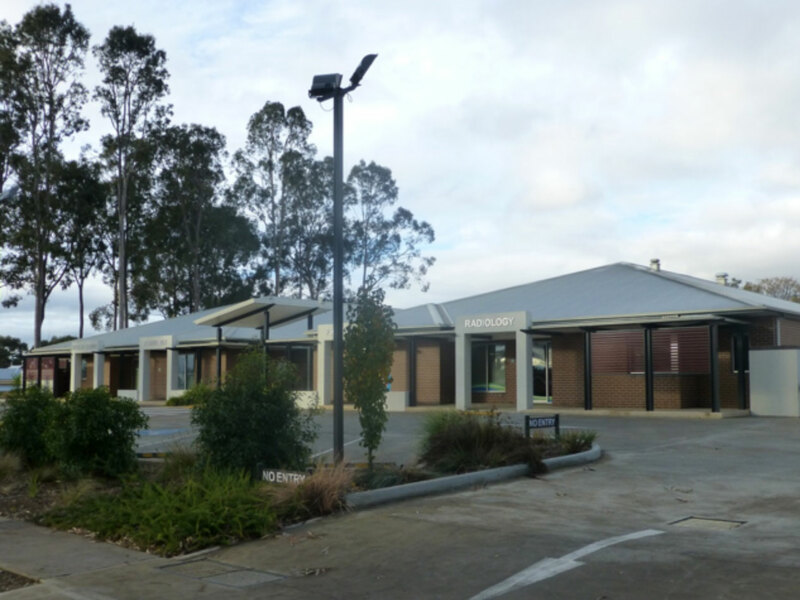 Construction consisted of a concrete slab on ground floor, precast wall panels to the back and part side walls and an aluminium framed shop front to the remaining walls. 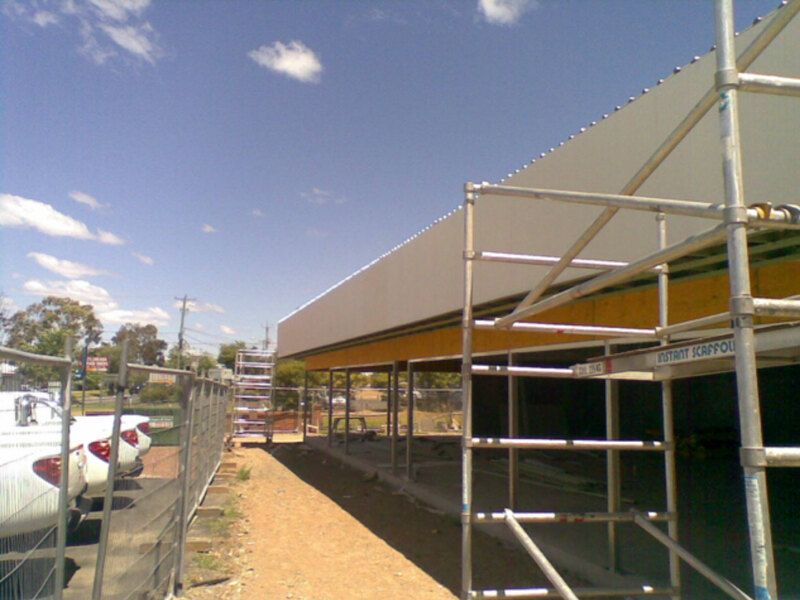 Roofing, facade and fascia are finished in pre-coloured steel. 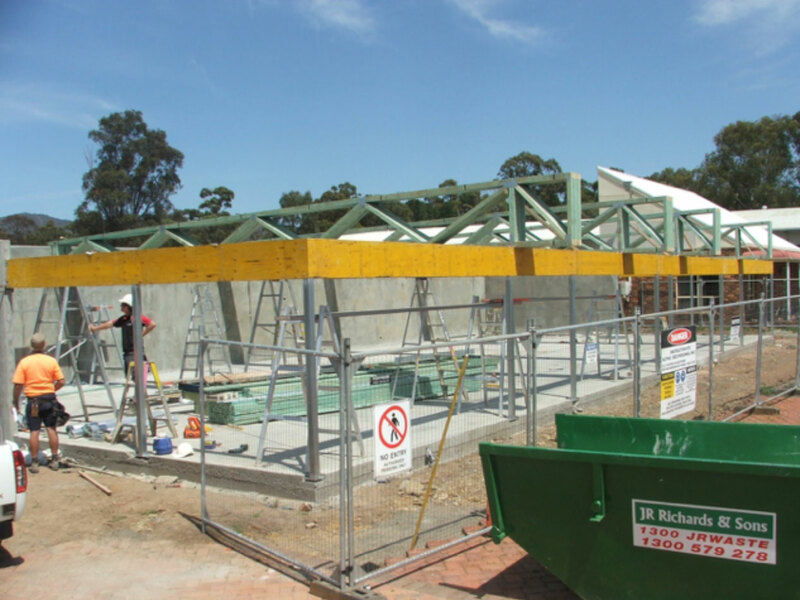 Building construction was carried out by Ian Birchall Building Co Pty Ltd and all roof detailing was carried out by The Truss and Frame Factory Pty Ltd. 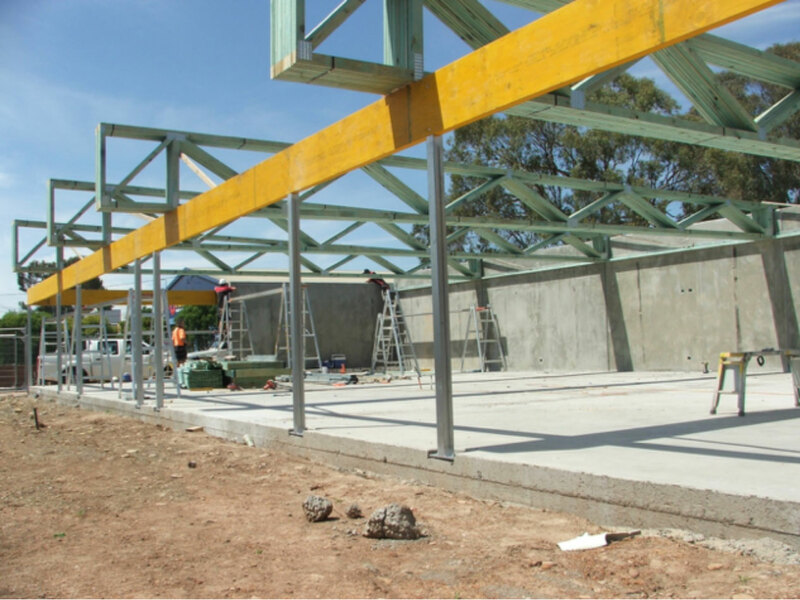 The whole of the structure was erected without the need for structural steel components with the exception of beam support stanchions and wall plate. This lead to a saving for the roof construction that was estimated by the builder to be over 30 % when compared with standard steel construction methods. 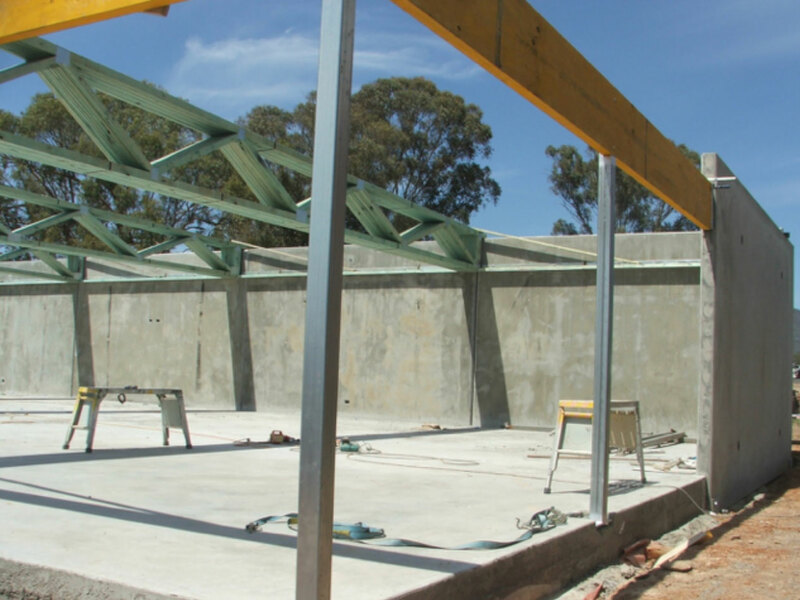 The design method adopted by the builder allowed for the pre-cast wall panels to be self-supporting, thus taking away any need for envelope bracing within the roof structure. 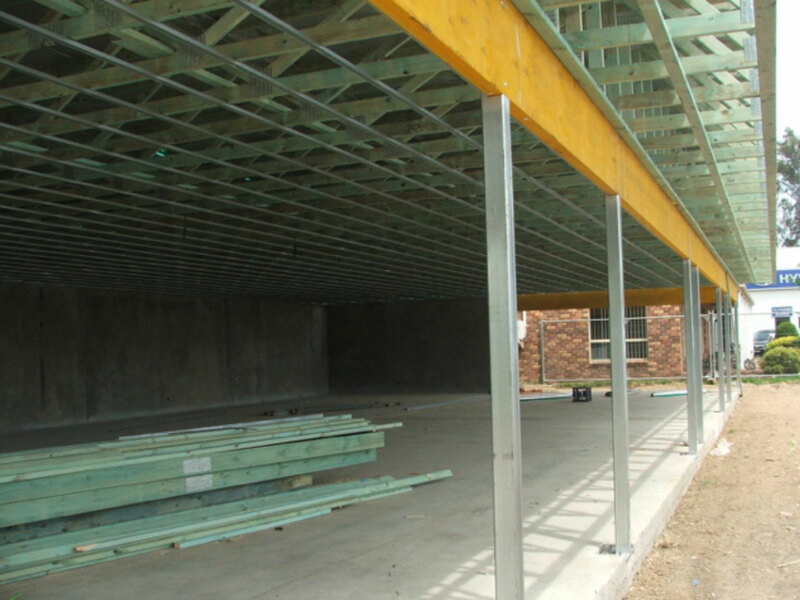 The most common comment made by builders when discussing timber roof frames in tilt up/pre-cast wall construction is “I need a steel frame to brace the wall panels”. 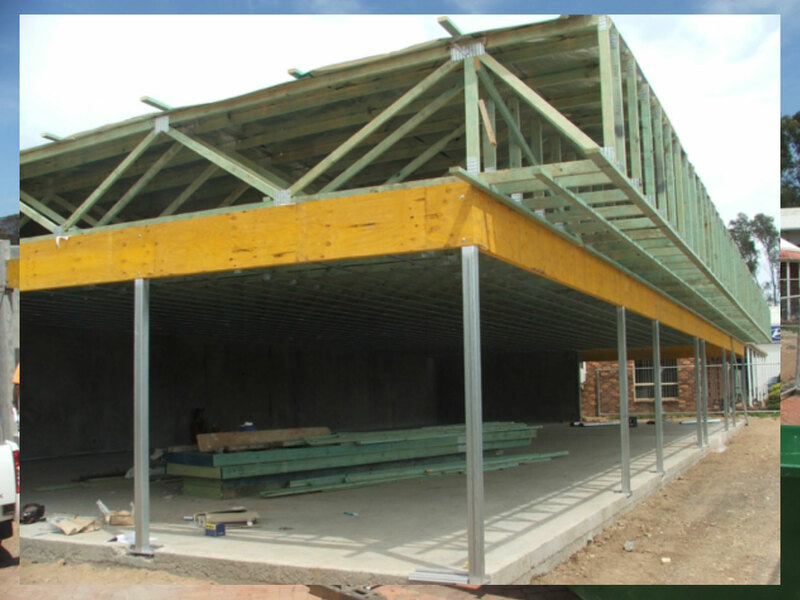 The method used by Ian Birchall allows for the wall panels to be fully free standing and self bracing. The open web design allows for all HVAC and electrical services to be run within the truss webs. This leads to a decrease in both hard cost and construction times due to no necessity to install cable trays, duct supports or suspended ceilings. Co-ordination of the truss design with lighting and other service layouts ensures that grid set out patterns can be maintained. 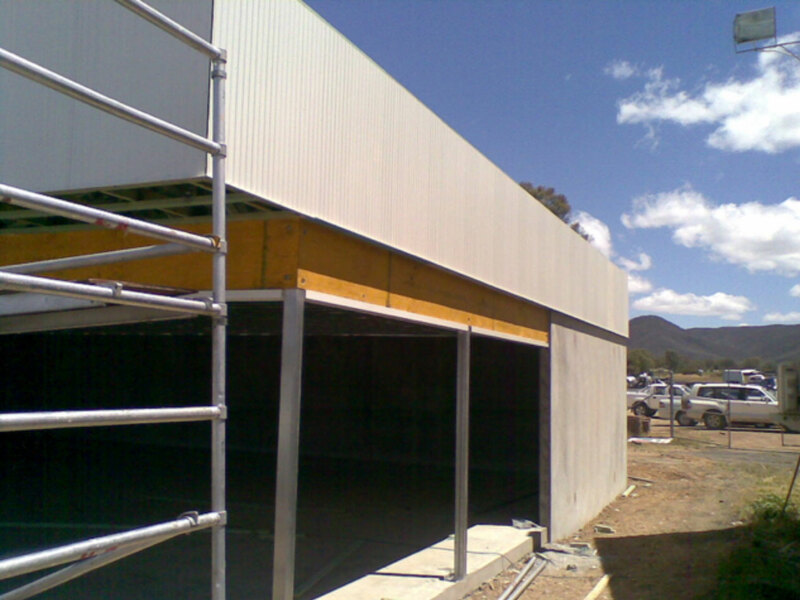 Where fire rating or sound proofing is required this can be easily achieved using standard components. 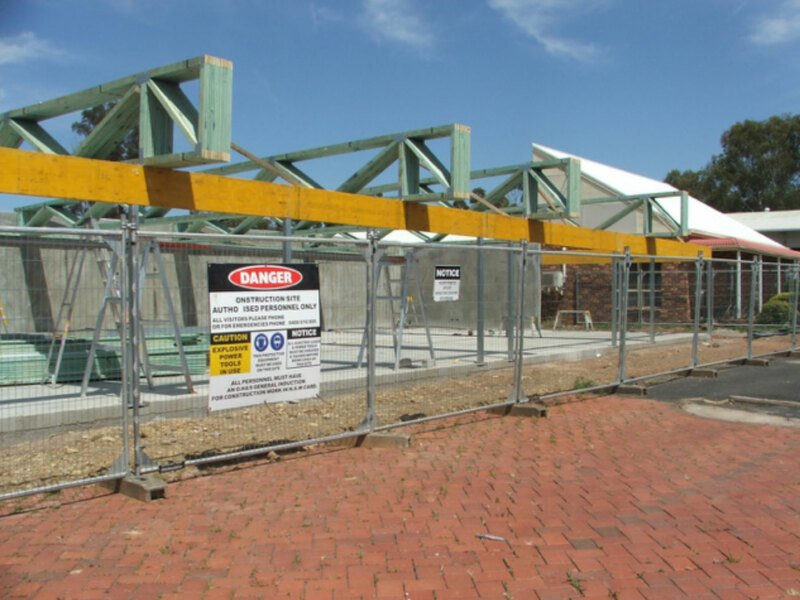 Even without further fire rating, the performance of timber trusses (potential for collapse) has been proven superior to a steel structure in University tests. 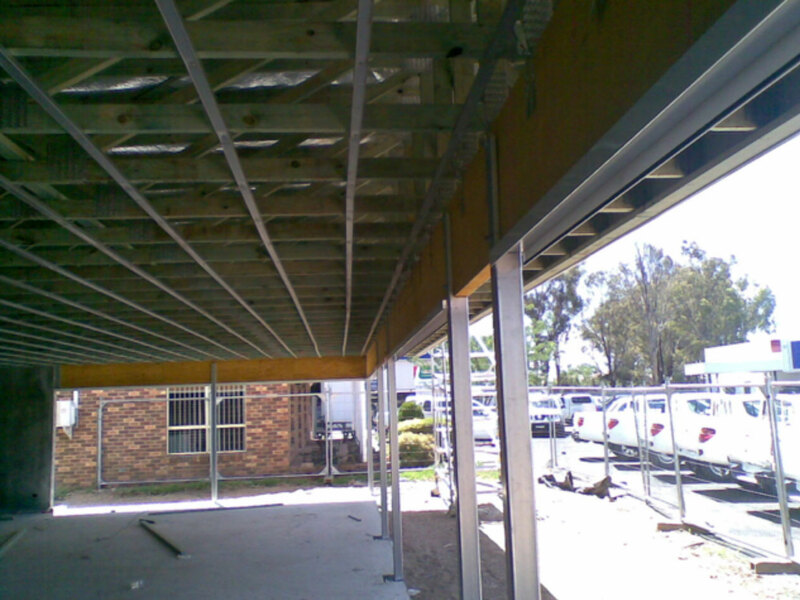 Termite proofing is obtained by using non-toxic H2 treated timber. The use of sustainable plantation timber (a renewable resource) in place of steel also means that the embedded green house gases within the structure are considerably less, thus leading to a “greener” structure. Green buildings are particularly attractive to Government and other Institutional Clients. 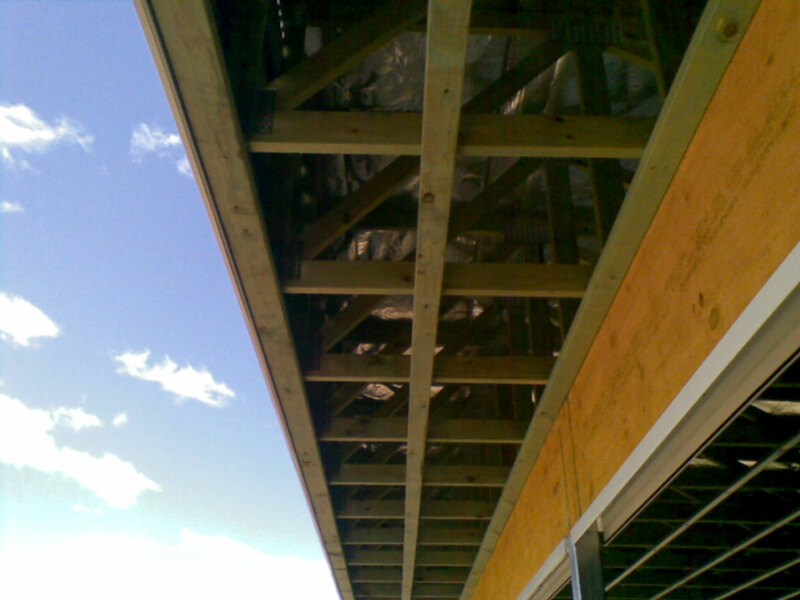 The major impediment to the increased use of timber roofing components in commercial applications appears to be the lack of knowledge by Architects/Building Designers and Structural Engineers that timber components are a cost-effective alternative to steel framing. Often this means that by the time plans arrive on the builder’s desk, all design and engineering work has been completed, so the expedient path for the builder is to simply work to those parameters. By providing an alternate price at tender time, a builder may be able to secure work opportunities that may not be available otherwise. For example, the builder’s price in accordance with the original design (in steel) might not be the most competitive, but the price using timber framing components is less than that offered by other builders. Any post tender negotiations based upon a timber framed alternative may not necessarily lead to the builder having to pass on all savings to the client, thus increasing the builder’s potential margin post tender. If a timber framed alternative is canvassed during initial discussions on a Design and Construct project, the potential client may prefer to place the order with a builder who can offer not only cost savings, but a “greener and more environmentally sustainable” project. This will increase the owner’s environmental profile within the community perhaps lead to premium rents and further development opportunities. For further information please contact either Darren Campbell or Graham Humphreys at the Truss & Frame Factory. 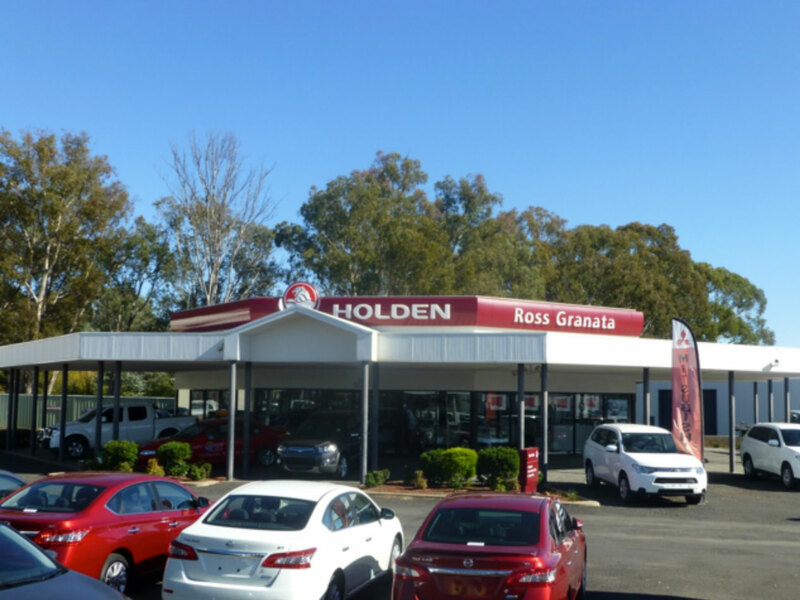 Call (02) 63 313977.